In a car accident there are two types of people: the victim and the liable party. Generally, if the liable party has accepted fault, they will give you their insurance information or you will obtain it from the police report. You are able to claim injury with their insurance and you’re medical bills will be covered at no cost to you. Sometimes your injuries might not be revealed until a few days after the accident. You may have even sought treatment immediately after at the ER or Urgent Care. Depending on the severity of your accident, the doctors may have given you a good report: no concussions, no broken bones, and no internal bleeding. Your only complaint is neck pain and muscle soreness. The doctor tells you it’s “just whiplash” and gives you prescription grade pain relievers. But now a few weeks have gone by and you are still in pain. It’s hard to turn your neck, and you have difficulty sitting for long periods and sleep is becoming restless. If you have to do a lot of physical labor in your job you are experiencing even more pain and discomfort. After some research you realize you’ve sustained an injury and are seeking treatment. And now you are wondering how long after a car accident can you claim injury? 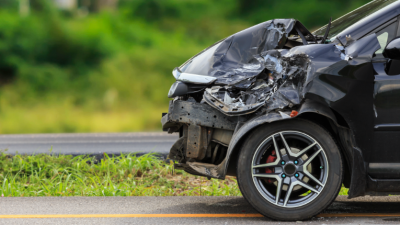 If you were not at fault in the accident, you can technically claim injury with liable party car insurance for up to two years. However, the reality is that the insurance company might be very wary if you suddenly claim injuries from an accident two years ago. A safe and recommended time lap to seek treatment is between two to four weeks. This will “stop the clock” and also avoids a large gap (from the time an accident occurs to the first date of treatment). Over 12 weeks, insurance companies will most likely wondered why the injured did not report any injuries at the time of accident….in other words, do NOT wait too long to get treated. Even if you think “it’s not that bad” or “maybe it will go away” are the two most popular excuses why a victim did not seek treatment in a timely manner. The sooner the better. Regardless if you are the liable party or the victim, both parties may experience whiplash and misalignment of the spine. Even if you are at fault for a car accident, you can use PIP or Medical Expense Benefits with your auto insurance. The coverage amount may vary, so call your auto insurance to verify the amount. You can also use this method of payment if the other party is refusing to accept liability. If you do not have medical coverage from your auto insurance, and the liable party does not have auto insurance, you can use your health insurance for payment when you seek treatment. Depending on your health insurance, the only out of pocket expense will be any deductibles and copays. There is no time limit to seek treatment while using your health insurance. We recommend scheduling an appointment with a local chiropractor for an examination. If you are experiencing whiplash, there is a strong possibility you are also suffering from a spinal misalignment. Your muscle pain may also be a symptom of the spine being knocked out of alignment. Chiropractors are trained to realign the spine and provide muscular relief long term without the use of prescription drugs!